• See Amani and Winspear run in our Cheetah Encounter! The Dallas Zoo is joining a beast of a lineup Thursday, March 1, as Animal Planet partners with 15 zoos and aquariums across the country for “Inside The Zoo” – a 10-hour Facebook Live marathon giving viewers up-close access to the work of AZA-accredited institutions. The swarm of live-streaming begins Thursday, March 2 at 8 a.m. CST and will run for 10 hours. The Dallas Zoo will go live on Animal Planet’s Facebook page from 10:30-10:45 a.m. featuring its iconic giraffe herd, and again from 3:15-3:30 p.m. with its popular dog and cheetah duo, Amani and Winspear. Throughout the marathon, animal care professionals and experts will interact with animals and answer viewer questions, while discussing the mission and priority of all zoos and aquariums accredited by the Association of Zoos and Aquariums – conservation of species in the wild. Viewers watching the Facebook Live event can comment on the stories and ask questions in real time. During the Facebook Live event, viewers will get sneak peeks at upcoming episodes of Animal Planet’s new series, “THE ZOO,” which takes audiences on a first-ever, in-depth look behind the scenes at the Bronx Zoo. 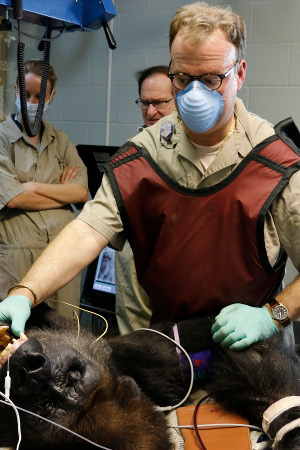 Dr. Bonar checks the depth of anesthesia by monitoring a gorilla’s jaw tone. From fielding calls about a goose’s swollen eye, to observing a large mammal that’s “acting a little off,” a zoo veterinarian’s job requires nimbleness and the ability to multi-task. 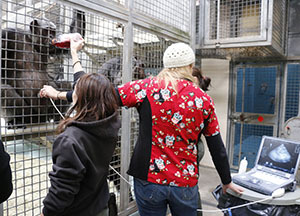 A zoo and aquarium inspector, on the other hand, requires thoroughness and a methodical approach to comb through every nook and cranny of a facility striving for accreditation. Dr. Chris Bonar does both. Really well. Bonar’s experience and attention to detail has been recognized with the 2015 Inspector of the Year honors from the Association of Zoos & Aquariums. Bonar, V.M.D., Dipl. A.C.Z.M., earned his veterinary degree from the University of Pennsylvania, School of Veterinary Medicine after starting his career at Harvard University with plans to be a physician. His personal passion for animals steered him into his career, and across the globe studying animals like black rhinos and lungfish, and to board certification in Zoological Medicine through the American College of Zoological Medicine. As the Dallas Zoo’s Senior Director of Animal Health, Bonar is actively involved in clinical medicine, surgery, diagnostic imaging, pathology, and nutrition. He supervises a team of veterinarians, technicians, keepers, records administration and a nutritionist at the $3.75 million A.H. Meadows Animal Health Care Facility. Outside of his day-to-day duties, Bonar travels the continent inspecting zoos and aquariums up for reaccreditation through the AZA. To be accredited, facilities must meet AZA’s standards for animal management and care, including living environments, social groupings, health and medical care, nutrition, record keeping and much more. Each of the AZA’s 233 zoos and aquariums must be reaccredited every five years. That’s where Bonar stays busy. “I always look forward to inspecting other zoos because the process is important,” said Bonar, who has been an inspector for nearly 20 years. The inspection team spends several days at a facility. 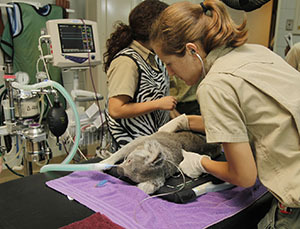 The inspectors observe all aspects of operation, including animal care, keeper training, guest safety, staff and animal safety, educational programs, conservation efforts, veterinary programs, financial stability, risk management, and visitor services. Bonar appreciates the opportunity to grow himself as he helps other zoos achieve reaccreditation. “I always learn something new and come back with new ideas,” he said. Bonar is one of six AZA inspectors who call Dallas Zoo home, in addition to Gregg Hudson, CEO and president; Lynn Kramer, D.V.M., Vice President of Animal Operations; Jan Raines, D.V.M., Associate Veterinarian; Ruston Hartdegen, Curator of Reptiles; and Harrison Edell, Senior Director of the Living Collection. Congratulations, Dr. Bonar! We greatly appreciate your commitment to excellence for the Dallas Zoo and zoos and aquariums nationwide. Lacerte Family Children’s Zoo supervisor, Melody Wood, guest blogs on ZooHoo. Splashing in a puddle. Building a snowman. Making a wish on a dandelion cast to the wind. Building a fort in the woods. Momentous Institute teachers rediscover how to play. Most of us remember such moments from childhood. Unfortunately, memories like these are increasingly scarce for today’s children, who are trading authentic experiences for ones seen on a screen. 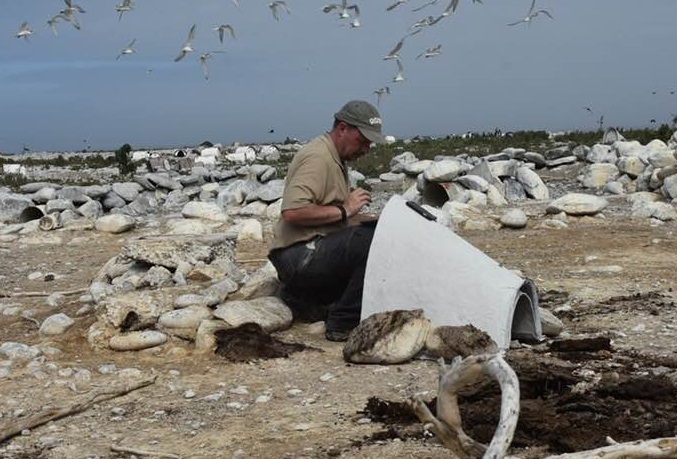 But zoos and aquariums are stepping up to help reverse the trend of lost nature experiences. 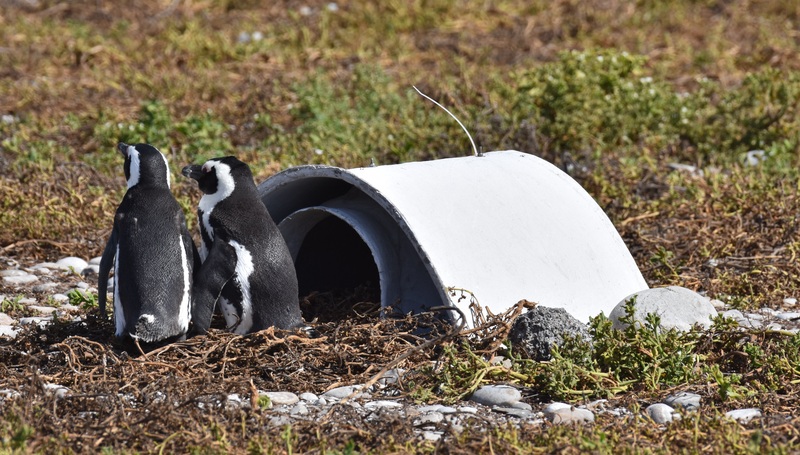 Research has shown that zoological park visits promote an increased connection with nature, acting as a gateway to the wild world for millions of visitors every year. 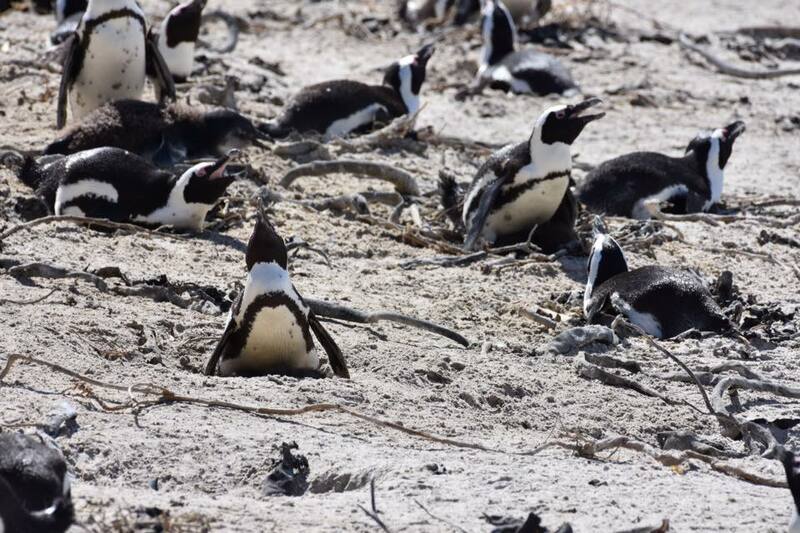 With the help of a $10,000 grant, the Dallas Zoo is combatting couch-potato syndrome. Teachers made a weaving board from an old cereal box and items found in nature. We recently were awarded a “Nature Play Begins at Your Zoo & Aquarium” grant from the Association of Zoos and Aquariums (AZA) and The Walt Disney Co., one of just 30 zoos and aquariums chosen to receive this special funding, designed to get families outside, playing in nature. We’ve used the grant to create a new program, WildFUN (Families United in Nature), to introduce urban, under-served families to unstructured nature play, both on Zoo grounds and in community parks. Facilitators from the Chicago Zoological Society/Brookfield Zoo recently flew south to lead staff from the Dallas Zoo’s Children’s Zoo, Education Department, and teachers from our program partner, Momentous Institute, in a three-day nature play training workshop called NatureStart. 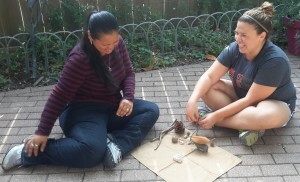 NatureStart was designed as a training program for informal education professionals working with young children and their families at museums, zoos, aquariums, and nature centers. 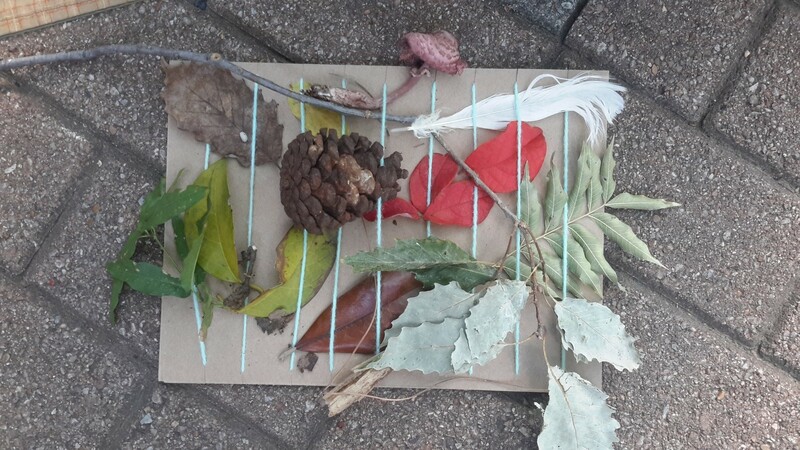 Participants rediscovered environmentally friendly ways to encourage children to care about the natural world and their role in it. The Zoo has made a five-year commitment to work with pre-K children and their families at the Momentous Institute, a private school where 80 percent of students come from low-income families. At the end of the first year, the WildFUN participating families will create their own Family Nature Club. The program will include trips to local parks, neighborhood green spaces and, of course, the Zoo. Dallas Zoo and Momentous Institute NatureStart workshop participants. 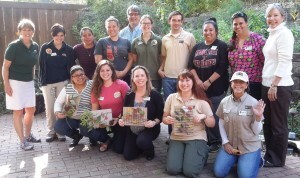 Equipped with techniques and activities designed to encourage exploration and discovery, Dallas Zoo staff are now ready to encourage kids to jump, run, dance, and build their way to a play-based nature adventure.